PNES, psychogenic non-epileptic seizures, have long baffled experts as they are events that have all of the hallmarks of an epileptic seizure, but are known to be psychological in origin rather than having anything to do with the traditional electrical discharges that are characteristic of epilepsy. However, there is now a blood test capable of helping experts distinguish PNES from actual epileptic seizures that may be used to differentiate these events. Though findings are still deemed preliminary, the research team (which included officials from Cognizance Biomarkers, a subsidiary of Evogene, Inc.) indicated that the test had an astonishing “87 percent sensitivity and 100 percent specificity” in differentiating the events. 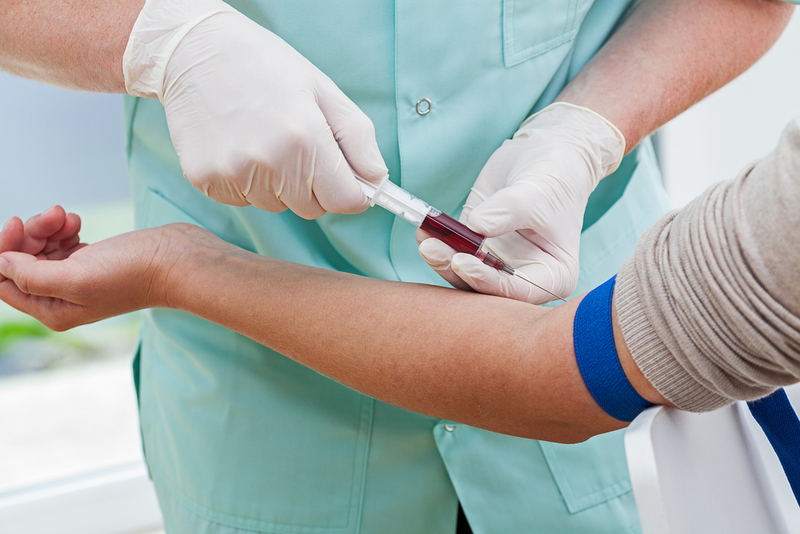 Testing needed to be done within 24 hours of any event and used more than just the bloodwork. John M. Gledhill, PhD, director of R&D at Cognizance Biomarkers explained that their methodology involved an examination of a “multi-protein signature response, as opposed to looking at one protein” and is what led to the four key protein markers being put to work. If fully developed, this test would become a key tool used by physicians to prevent misdiagnosis of epilepsy. As reported at the AES Annual Meeting, “PNES patients account for the largest category of people misdiagnosed as having epilepsy” and a more effective and targeted testing mechanism would erase a majority of these misdiagnosed cases. To develop their blood test, the team worked with patients in an epilepsy monitoring unit. Of the 56 patients studied, 25 had PNES and 31 had experienced true epileptic seizures. The entire group had been chosen for surgical evaluation and/or a more conclusive diagnosis. Blood sampling was done at the start of each day and also within a 24 hour window of any event documented with an EEG. More than 50 proteins commonly related to neuroinflammation were analyzed and four were tagged as enabling experts to differentiate between PNES and epileptic seizures. Those proteins are TRAIL, ICAM-1, MCP-2, and TNF-R1. With these proteins, the testing was able to hit a “sensitivity of 81 percent and 94 percent specificity,” though mechanisms that allow the four proteins to serve as indicators is as yet unknown. As noted, it was not proteins alone, but other factors applied in an algorithmic fashion that allowed optimal diagnosis. According to the team, they incorporated “risk factors associated in the literature with PNES — such as major depressive disorder, physical or emotional trauma, and multiple allergies,” to attain such accurate results. However, some of the researchers and other medical professionals indicate that the test may end up as an adjunct tool because of the innovations and improvements in EEG technologies. As noted in the announcement, Selim R. Benbadis, MD, FAAN, professor of neurology at the University of South Florida, said the data from the test are “intriguing” and “the test would have reasonable feasibility…[but] You can do ambulatory home EEG video studies, and if I can have that, it would be a lot more powerful than any blood work," he said. In fact, “researchers introduced their findings by saying that video EEG “requires inpatient hospital stays,” but Dr. Benbadis said that is no longer the case.” Video EEG no longer requires inpatient admission because ambulatory EEG video studies are now an option. Whether it is ultimately used as a screening tool as part of initial evaluation and/or prior to video EEG, or as a standalone testing method, it is expected that the test could be available by 2021. As noted, the research is being conducted under the auspices of Evogene, Inc. and funding from a grant through the National Institutes of Health.